Rick is an old, mad scientist who lives with his daughter’s family. He moves in and instantly bonds with his teenage grandson. Morty is a shy boy who is often embarrassed and filled with panic over ordinary situations. Rick will often show up at Morty’s school and drag the boy off for a crazy, zany adventure. 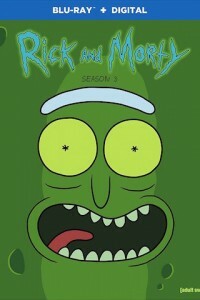 In their very first escapade, Rick brings Morty to another dimension where they must bring back a seed from a very special tree. Another adventure brings Morty and Rick into an Inception-themed dream world where they try to influence Morty’s teach into giving him a good grade.